Beautifully updated home with charming extras. 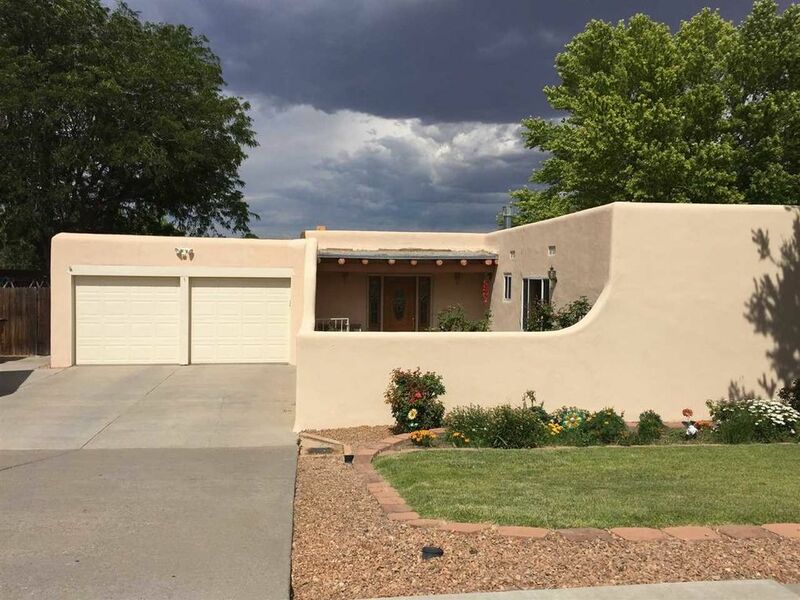 This beautiful home sits on a large corner lot, meticulously landscaped yards w/sprinkler system, covered patio, and rose garden courtyard welcomes you to this lovely home. Two living areas with 9' ceilings; main living area has wood beam ceiling accents and hardwood floor, recessed lighting, and lots of natural light. kitchen was remodeled in 2012 and is equipped with gorgeous granite countertops, stainless steel appliances including a Bosch gas stovetop, double oven, touch faucet, and custom wood pocket door. Murphy ironing board in hallway between bedrooms, custom cabinetry bookshelves and linen closets, two full updated bathrooms, stained glass accents, and 4 bedrooms. Too many extras to mention here - you have to see this beauty!! RV parking w/ electric hookup!! 2 car attached garage with workshop. Large custom shed on south side of home and 2 portable sheds currently at NE side of backyard.